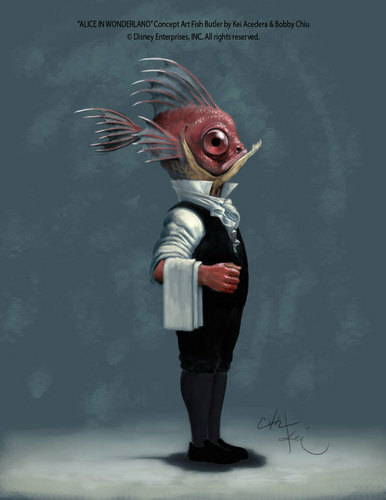 Alice in Wonderland Concept Art - Fish Butler. Here is yet another Wonderful piece of concept art by imaginism over at deviantART. I really like this version...I'm not sure what it is........I think it's the giant fish head.. HD Wallpaper and background images in the Alice in Wonderland (2010) club tagged: alice in wonderland tim burton concept art fish butler imaginism disney creepy.